If you’re looking to invest your money then you’ll very quickly have realised that there are thousands of financial investment opportunities. Structured products are an option if you’re looking for returns on your investment without the risk that is typically associated with buying shares on the stock market. Put into simple terms, structured products split your money into two when you’ve chosen to invest. They come with a fixed term of, usually, between 3 and 6 years. A proportion of your money (as an example, 85%) goes to secure your capital, and is designed so that you can be sure of receiving your original capital back as long as the counterparty, or institution that you’re depositing your capital with, remains solvent throughout the course of the plan. If you invest £10,000 then you can expect to receive £10,000 back, at least, once your plan matures. The rest of your money (15% in this example) is invested. 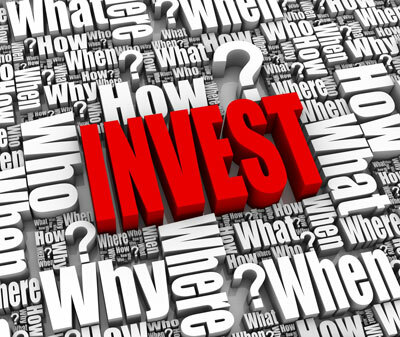 Your invested money will bring stock market linked returns, the results of which could be positive or negative. The success of your investment is usually tied to the performance of the FTSE 100 Index, but may be linked to another commodity. Structured products are an investment opportunity to consider if you’re averse to risking all of your capital. Typically, they offer higher returns than a regular savings account. Bear in mind that whilst terms are typically between 3 and 6 years in length, many providers offer options that allow for early maturity if that’s something that you would consider to be important. As a majority of your capital is set aside for protection, you’re not going to see the full benefit of any Index success. In return for the additional security that a structured product provides, the potential for growth is lowered. Your money is also at the mercy of the counterparty or deposit taker, which means that bad news for them is bad news for you. You rely on the solvency of the counterparty in order to have your money returned once your investment has reached maturity, which is why it’s very important to carefully consider who you’re depositing your capital with. Finally, it’s worth bearing in mind that your original capital may become the victim of inflation. If you invest £10,000 then there’s a possibility that you will only receive back your £10,000 upon maturity. In real terms, this might represent an overall loss of capital. This, however, is very unlikely to happen. The FTSE 100 Defensive Kick Out Plan is one of many options available. This particular plan offers a 6 year term with the promise of your original capital back upon maturity, plus an additional 42% (7% per annum – not compounded), if the FTSE 100 finishes above 90% of its starting value. Meanwhile, if the Final Index Level is at least 50% lower than the Initial Index Level then you will lose the equivalent percentage. The example above is just one of many plans available. For a look at some of your options, our page on structured investment plans should be your first port of call for information.